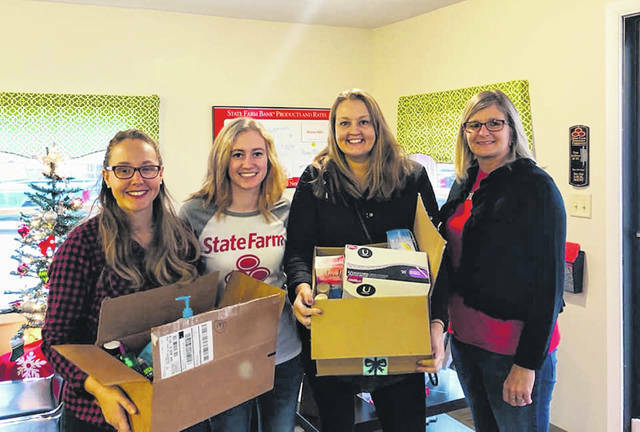 Erin Patton State Farm, Urbana, collected and donated items to Project Woman along with $250. State Farm matched the donation with another $250 for Giving Tuesday. From left are Erin Patton, Morgan Edwards of State Farm, Audrey Ferryman of Project Woman and Holly Powell of State Farm.